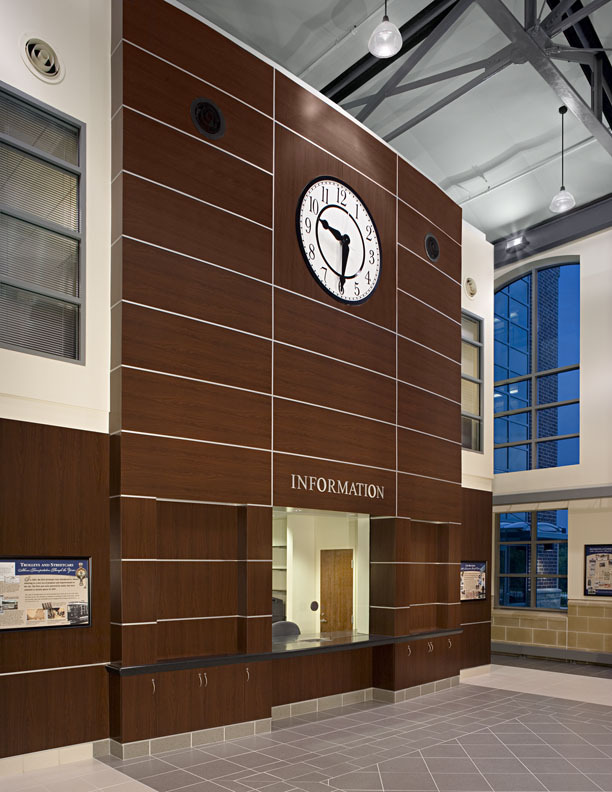 Steel trusses and supports give an open feel to an integrated transit facility that serves the needs of the city’s large student population, as well as Athens residents. 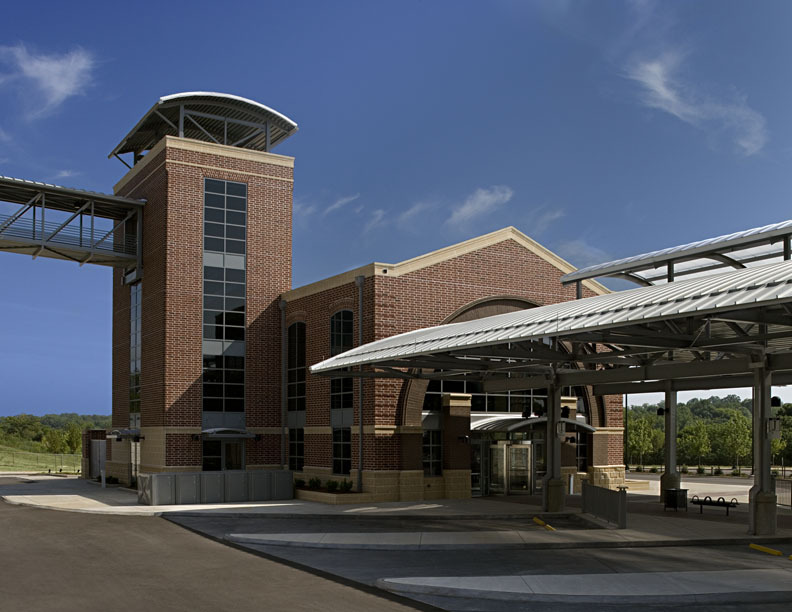 The multiple bus bays connect via a pedestrian bridge to nearby parking and a convention and performing arts center. Brick, cast stone and glass reflect upon the industrial typology of the region and downtown area, which has experienced a growth spurt since the transportation hub opened. The station was constructed on a brownfield that had been a barrier to further development.